Preventing enclosure overheating in the summer can be a challenge for many factories, where temperatures can rise fast during hot days! 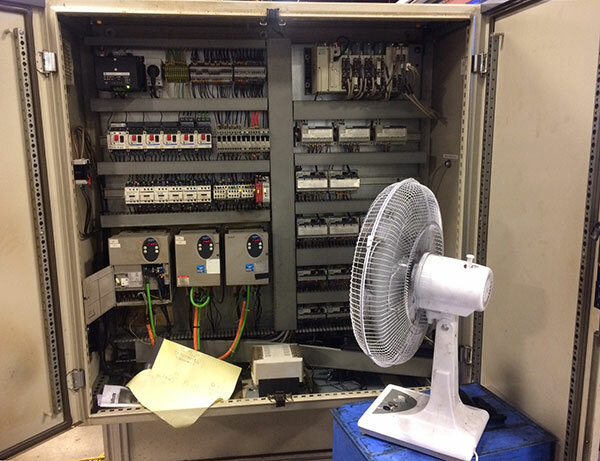 The high summer temperatures are often the cause of overheating of electrical components located inside the enclosures reducing their lifespan, while also contributing to downtime and repairs. When this happens, the user often makes the same mistake: open the door panel (and sometimes use a fan) to remove heat and cool the components. In doing so, they allow dust, oils and surrounding debris to get inside the cabinet risking the damaging of sensitive electronic components. To ensure that sensitive electronics maintain their rated life expectancy and that they function reliably, proper regulation of the enclosure climate is necessary. Electronics are typically most efficient in an environment where the humidity is low and the temperature is approximately 95°F. As the temperature in an enclosure rises it can have a lasting effect on the electronics. Tests have shown that an increase in temperature of as little as 18°F shortens the life expectancy of electrical components by more than 50%. Enclosure Climate control prevents critical temperature fluctuations, avoids overheating and protects against the formation of condensate. It is essentially the backbone of your entire production process, prolonging the life of your electronics and protecting your investment. To choose the best Thermal Management Solution you first need to understand your environment. Indeed, the environment in the electrical enclosure can be affected by weather conditions, solar radiation or other external temperature sources. As an example, An Air to Water Heat Exchanger will be adapted to an enclosure placed in a factory that faces hot weather spikes or an extremely dirt or caustic environment compared to traditional industrial air conditioners. Electronics sensitive to electromagnetic interference may need a shielded EMC Filterfan®. An enclosure located outdoors or in a humid environment may require hygrostats or thermostats and heaters to eliminate the formation of condensate, leading to corrosion and short circuiting. To determine the proper thermal management solution, Pfannenberg Engineers developed a powerful web-based Sizing Software to help you configure Filterfans™, cooling units, air/water heat exchangers, and heaters for electrical enclosures. The easy to use interface, works for both indoor and outdoor applications and helps you calculate the heat dissipation in a cabinet, component by component. 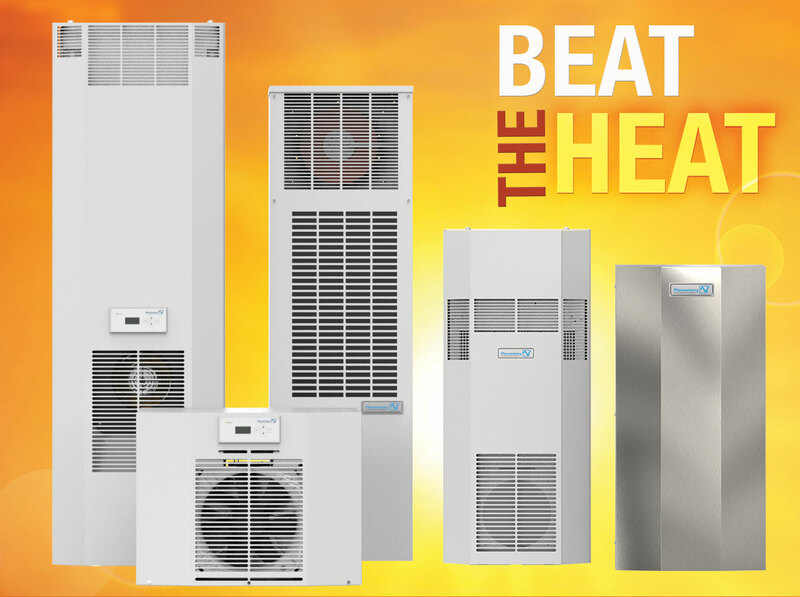 Need more help choosing the best Enclosure Cooling Solution? Chat with our Support Engineers or Ask us a question!